A new crowdfunded peripheral for the Nintendo Switch is set to expand the ways players can use the best-selling handheld console. Flip Grip is a handheld accessory for ‘vertical-mode gaming’. The shape of the Grip allows you to angle the Switch screen vertically in handheld mode, meaning you can play classic video games such as Galaga or Punch-Out!! in their original, vertically-oriented glory. While some re-releases of classic games on the Switch do allow for vertical display, there’s currently no intuitive way to play – other than awkwardly leaning the Switch screen against another surface. A Kickstarter campaign is currently running to support manufacture of the accessory, which at the time of writing had just reached its US$42,000 (about £32,000, AU$57,000) goal. Nintendo is famously protective of the integrity of its products, and doesn’t always take kindly to third-party ‘solutions’ to its console design choices. But if Switch users are able to access suitable peripherals for facilitating vertical play, we could see the feature appear in more games in the future. 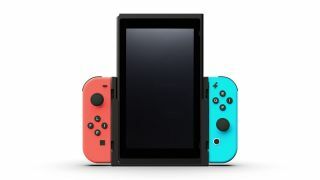 Nintendo may even decide to bring out an official, first-party version – as we saw with the adjustable charging stand announced in May, which offered an official alternative to third-party docks prone to ‘bricking’ Switch consoles.